Forgiving others is the key to freeing yourself. In the passionate and life-changing book Forgiveness: Finding Peace Though Letting Go, bestselling author Adam Hamilton brings the same insight that he applied in the bestseller "Why?" to the challenge of forgiveness. Hamilton argues that revelation comes when we realize that forgiveness is a gift we give ourselves rather than to someone else. He also contends that only when we learn to forgive others and ourselves can we truly receive forgiveness from God. 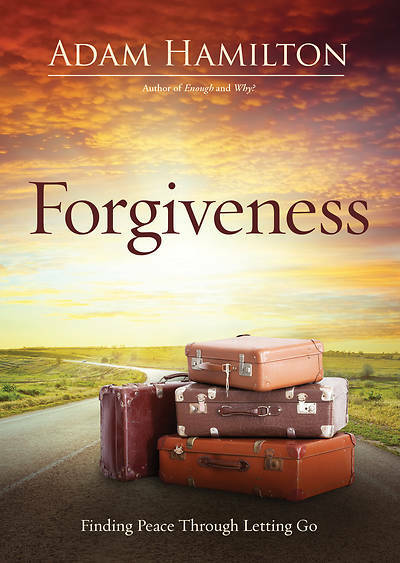 "Deeply rooted in the Bible’s testimony about God’s extravagant mercy, this fine little book explores the Christian call to practice both repentance and forgiveness in the image of God. Straightforward and practical, Hamilton vividly sketches the habits of the heart that discipleship requires in our daily relationships with spouses and intimate life partners, family members, friends and strangers."